You won’t find mention of it in any press release, but Fox is scrapping the much-maligned CTD system on both its forks and shocks and replacing it with more conventional Firm, Medium and Open settings. To celebrate the switch, there’s a completely revamped Float shock and 34 fork, and a host of new initialisms. Aside from the re-branded damping control, the Float gets a couple of exciting new developments. The first is DPS, or Dual Piston System. 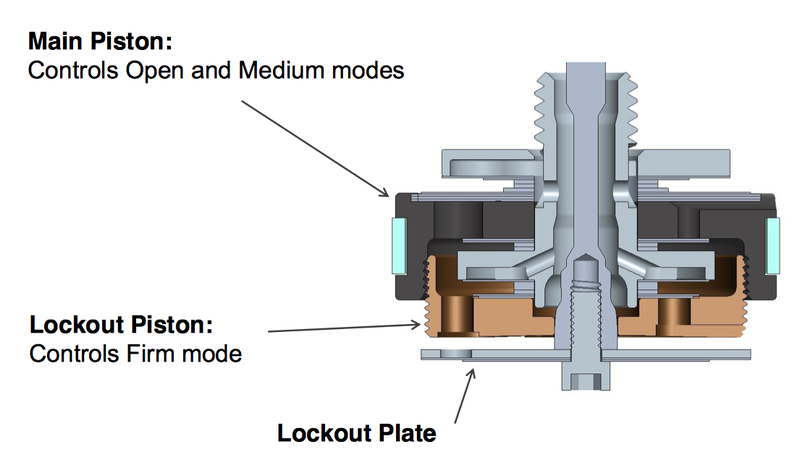 By adding an additional piston, Fox claims to have been able to introduce a firmer compression lockout without compromising on control and sensitivity in the Open and Medium modes. 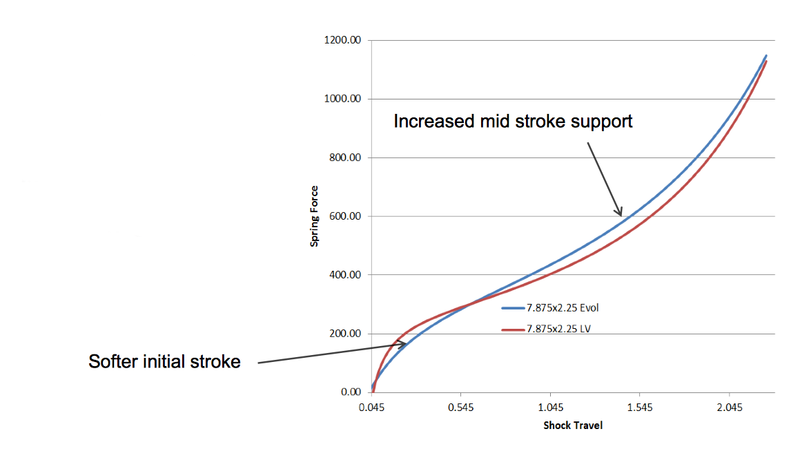 Where the magic happens: The workings of the DPS shock. The changes don’t stop with an extra piston though. There’s a new EVOL (Extra Volume) air sleeve that increases the volume of the negative chamber, to give superior small bump performance and increased mid stroke support. And good news for current Float owners: the Evol sleeve will also be sold as a backwards-compatible upgrade for your old shock that should cost around £60. This undercuts the aftermarket Vorsprung Corset canister by around £20. We’ve been running a test shock for two months now and the early signs are encouraging: we can definitely feel the difference in damping and fluidity and it is by far and away the best Fox trail shock we’ve ridden in a while, maybe even better than the RockShox DebonAir it is trying to emulate. 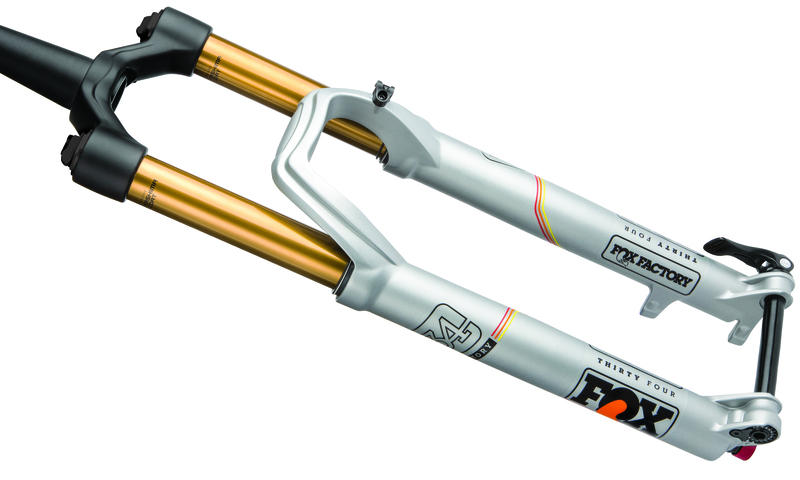 Fox has also updated its primary trail fork, the 34, with a redesigned chassis that’s based on the beefier 36. New, advanced, casting techniques cut 200 grams off its weight. You also get a new fourth generation FIT damper with separate low-speed compression damping control in Open mode and new rebound circuit that claims to offer a more lively ride without sacrificing control on big hits. Further tuning possibilities lie within the air spring, with a similar spacer system to that introduced on the 36 allowing manipulation of the volume. Fox is aiming to sell the new Factory level Float shock for £400 and the Factory 34 for £750.